As shown in the picture above, These Weymouth Bits are high-quality horse tack items. This Tom Bass Medium Port Weymouth Bit that we have to offer is a medium port and is made of top quality materials that are very durable. 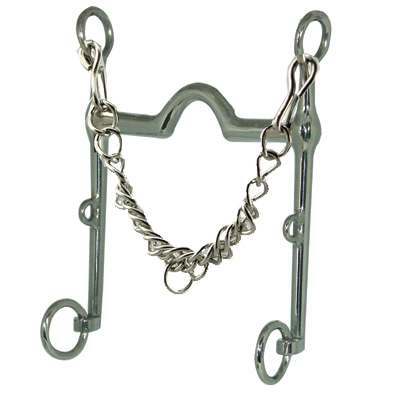 These Weymouth Horse Bit items are in stock and ready to be shipped here at Horse Tack Now.